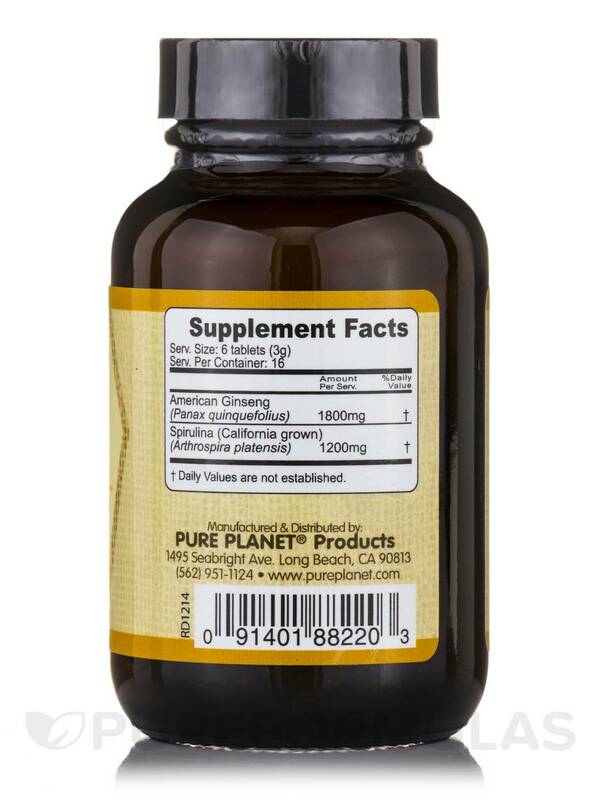 Increase Stamina‚ Endurance & Focus! 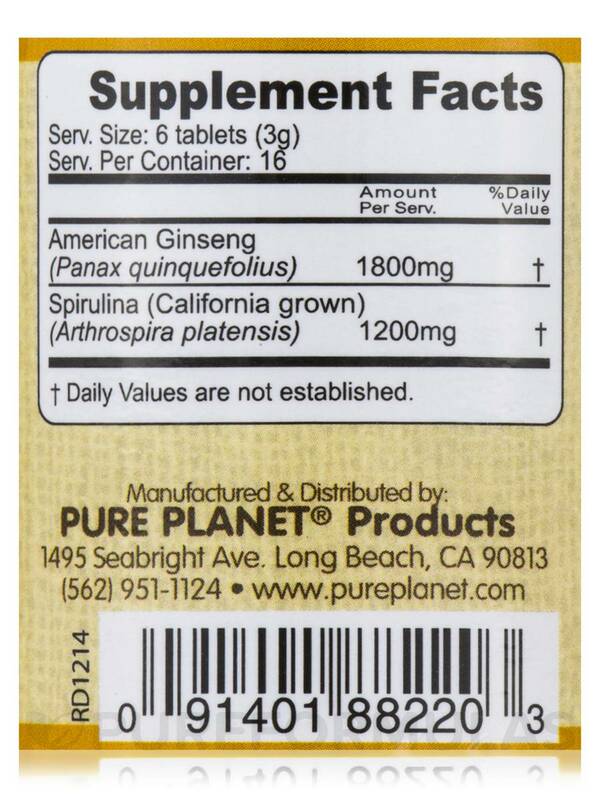 Ginseng Plus™ is a unique and powerful combination of pure American Ginseng and Spirulina (California Grown). 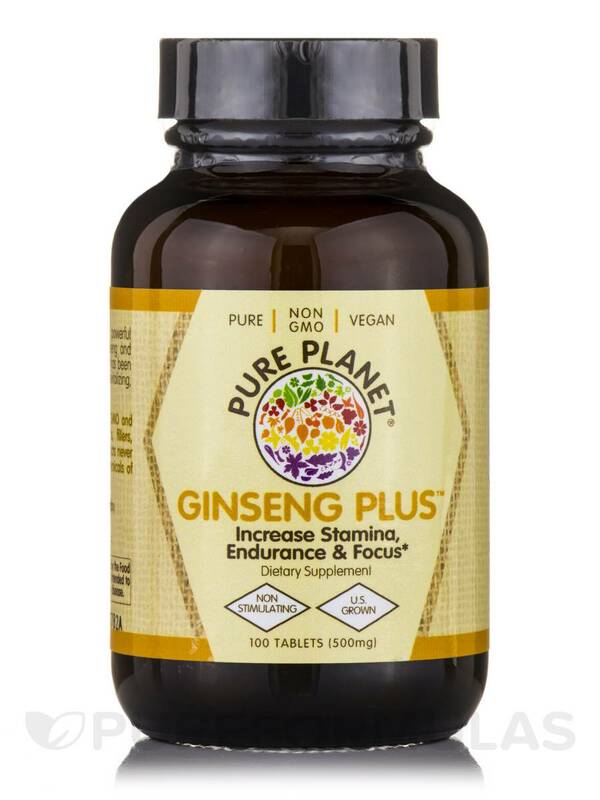 Ginseng has been used for centuries for its soothing‚ revitalizing‚ and restorative properties. 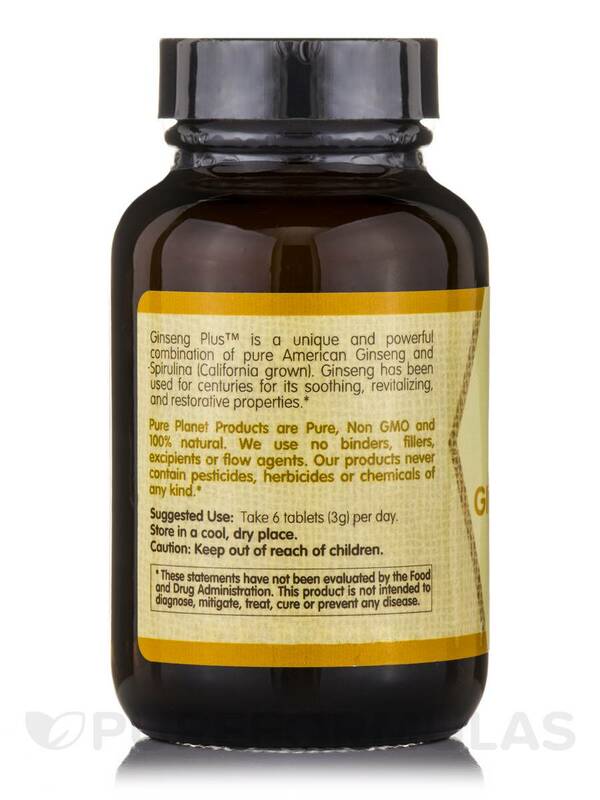 Pure Planet Products are pure‚ non-GMO and 100% Natural. No binders‚ fillers‚ excipients or flow agents. 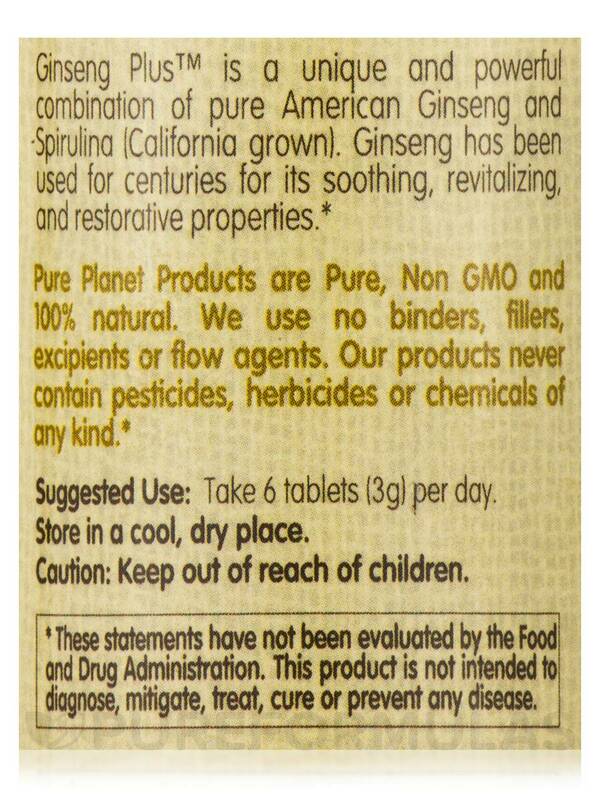 These products never contain pesticides‚ herbicides or chemicals of any kind.